BlackBerry Gemini live pic | BlackBerry Blast! 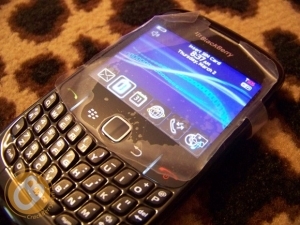 A new picture is floating around of the BlackBerry Curve 8520, courtesy of CrackBerry. Codenamed Gemini, the new BlackBerry has a new look and some new features including an "optical trackball," and dedicated media player buttons. We can't figure out why any handset maker, especially RIM, would make a non-3G phone at this point but the Gemini does not include 3G.